Suhauna was the fall 2017 opinion editor, fall 2016 online managing editor, summer 2016 managing editor, spring 2016 university news editor, lead higher education reporter and a layout designer. She taught the introductory journalism class for incoming Daily Cal reporters in fall 2016. Advocates debated Proposition 61 — a state ballot measure that aims to standardize drug prices — at a panel Saturday in Dwinelle Hall. U.S. presidential candidates Hillary Clinton and Donald Trump are facing off Sunday evening for their second debate after a tumultuous week in election news. 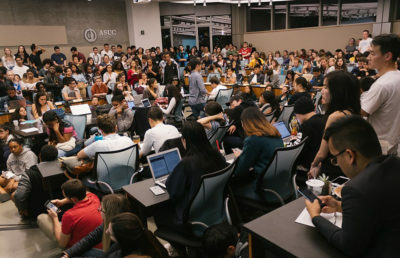 The UC Board of Regents will consider a new debt management policy and hear updates on the implementation of new restrictions regarding moonlighting for senior administrators at its meeting Wednesday. In response to concerns about packed waitlists in the electrical engineering and computer sciences department, the administration has said funding for instructional support — which has been incrementally boosted over the past several years — is not to blame. 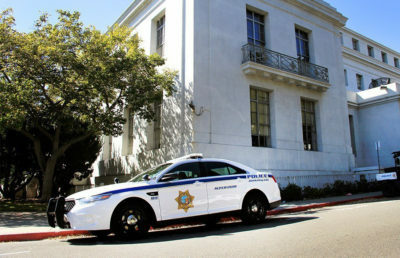 A UC Berkeley graduate student filed a lawsuit Thursday alleging the UC Board of Regents breached two student employee contracts in the 2013-14 academic year. A federal judge dismissed lawsuits Monday filed by Berkeley and two other Bay Area cities that claimed Monsanto Company is responsible for chemical contamination in nearby waters and should pay the cleanup costs. People from all around the world have found their homes in Berkeley. Even if you haven’t had the chance to travel abroad this summer, a closer look at our city’s DNA affords us the privilege of gaining perspectives from all around the world. Students will divergently navigate this intricate, diverse community with its infinite twisting routes to friendship, adventure and knowledge. Don’t be hesitant to change your hair, your music taste, your major or, most likely of all, your perspectives.